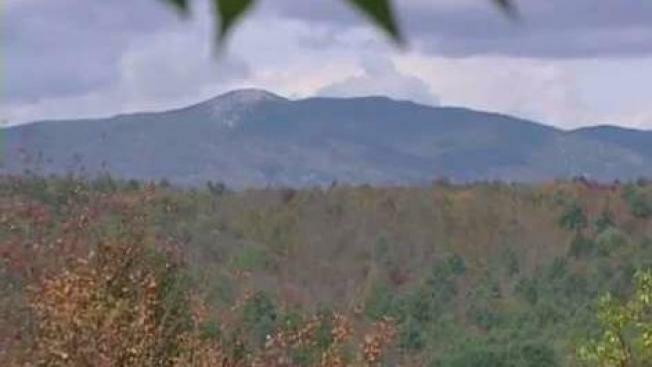 Vermont's forests, parks and Recreation Department said the slow arrival of fall foliage is because of recent weather conditions. Vermont foliage is off to a slow start this year, but that hasn't stopped the flood of tourists that flock to New England for our beatifull Autumns every year. Fans of fall foliage have been waiting all year for mother nature's annual show, and in much of Vermont, they're still waiting. "It is kind of hard to remember it being so subdued for so long," said Michael Snyder, the commissioner of the state's Forests, Parks, and Recreation Department. Snyder said the recent stretch of dry and unusually warm weather means the trees' gradual transition is a little slow this year, noting that scientists he’s spoken to consider this within the normal range of foliage transformation. Despite the delay, there is plenty of color out there in Vermont’s fields and on its hillsides, if you explore. Our news camera captured some vibrant reds in Stowe, and a bold hillside in the small town of Georgia. However, Snyder said especially in the Champlain Valley and other lower elevations down to Bennington County, there are still a lot of green leaves left in the trees. The commissioner said he has received reports from across the state in the past one to three days describing significant color changes, seemingly all of a sudden. "They say it's a little late because the weather's been warmer," said Donald Flynn, a traveler to Vermont from Alabama. "I'm not disappointed!" That was the sense many travelers shared in the tasting room of Boyden Valley Winery & Spirits in Cambridge. Some travelers who had never before glimpsed Vermont’s autumn landscape said they were very impressed, even with what locals have told them seems to be a later-than-usual display. "I'm really looking forward to seeing fall foliage in New England. I've never been able to do that," said Phillys Hill, a traveler from Texas. "It's worth the wait already. It's already meeting my expectations, and people tell me, 'Oh, it's just starting.'" "We have pretty trees home in Alabama, but it's not like this," said Joyce Long, another visitor to Vermont. "This is gorgeous; the hills—it’s just really pretty." Synder said the colors will keep emerging, especially if we see colder nights to go with sunny days. "We have faith in Vermont's forests, they don't let us down," Snyder said, smiling. And remember, we're on the trees' schedules—they’re not on ours. For information on visiting Vermont, including updated foliage conditions, visit this website from the Vermont Department of Tourism & Marketing.